These hooded bunny blankets are incredibly soft, warm and come with a hood to protect baby's precious little head. Large 30" x 36" baby blankets are made in the USA from "milky" plush fabric. The fabric provides the warmth of a really good baby blanket, but is soft and light to the touch. In addition, these blankets are simply unique and too, too cute. 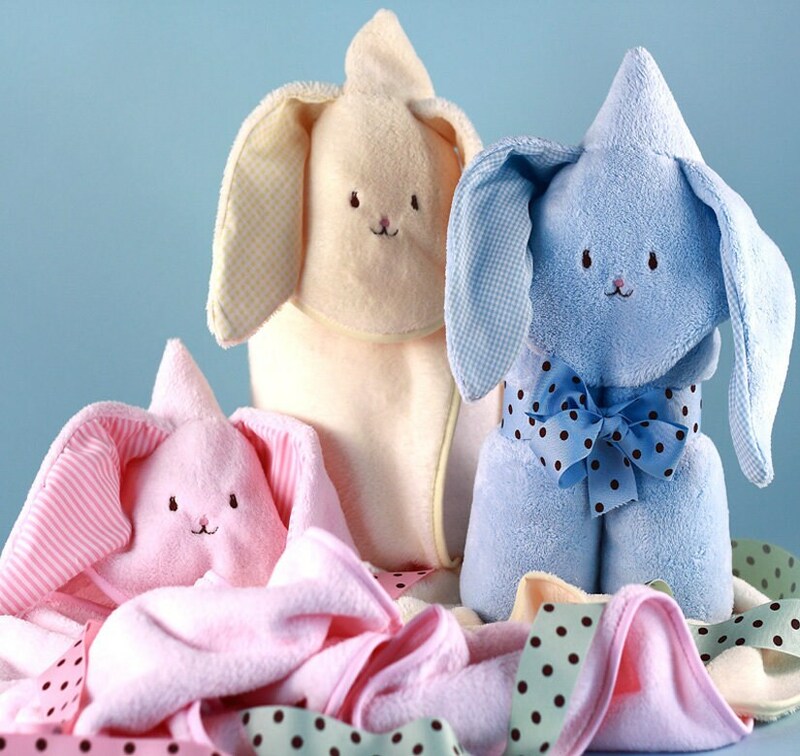 Each one comes embroidered with a cute little bunny face with adorable floppy ears sewn on. The blankets are available in blue, pink, and yellow. Ships beautifully gift wrapped.